On Easter Sunday, in true HTMLGiant fashion, we got to revisit some of these topics over GChat, touching on experimental film, Nicolas Winding Refn, Terrence Malick, and George Lucas. The first part of this conversation, which focused on indie lit and the avant-garde, can be found here. Which has a lot of implications for indy lit vs. genre novels—you mention that it’s almost impossible to conceive of an indie lit release that has sincere (vs. ironic) zombies, or that’s an extended, sincere medieval fantasy. I was rereading your essay from Cinemaps on Ridley Scott’s Alien this a.m. and was struck by your analysis of the xenomorphs. They aren’t a “monster in the closet or under the bed.” They’re inside us, they’re part of us, and they exist “symbiotically” with us. This is what makes them so terrifying. SMG, meanwhile, has a classic essay on Scott’s Prometheus as an existential, cynical work of camp. Alien and Prometheus are of course science-fiction films, but they’re operating at this level. I suppose if there’s one argument I keep returning to, it’s that mainstream movies and novels can be aesthetically ambitious and experimental. Which is to say, I don’t think that experimentation and innovation exists solely in some underground somewhere, and is missing in the larger culture. Rather, people are doing all kinds of innovative work all throughout the culture. Granted, most art out there isn’t aesthetically ambitious or innovative. But I think that’s also true all over. Anyone who’s ever read a literary journal knows that most of the work is wholly conventional, conservative, and uninterested in experimentation or innovation. Which is also true in Hollywood, and also true in avant-garde scenes. So in writing the Cinemaps essays, I was trying to demonstrate how a lot of those movies are really formally inventive, and that their formal innovation is important, both artistically and politically. Of course, some of the movies are better than others. But for each essay, my goal was to dig out whatever was most innovative or ambitious about the film, and present it to the reader. I wanted to make the reader feel as if they’d never seen the film before, and were excited to go back and look at it again. I was really influenced in that regard by Jorge Luis Borges and Guy Davenport. Not saying my writing’s as good, but they were both wonderful at doing that kind of work! To lay bare how they work formally, rather than just as things one experiences. If that makes sense. Should we do a kind of rapid volley set of questions about a couple recent films, where you give general thoughts? First would be Alex Ross Perry’s Golden Exits. Can I say quickly that I had a lot of creative freedom in writing those Cinemaps essays. Drew and our editor, Jason, were wonderful to work with. There was only one essay that Jason asked me to rewrite, and on the grounds that he wanted me to write a better one. And he was right! I’m afraid I haven’t seen Golden Exits yet! Though I want to. I think Alex Ross Perry is amazing. Refn’s Neon Demon, as compared to his previous works. Drive and Neon Demon are both great masterpieces and important films. I adore Only God Forgives, but it feels more minor? But time has a way of telling with these things. Incidentally, I wrote about Neon Demon here. Have you seen Pusher or Bronson? I’ve seen Bronson and think it’s great. But for some reason I’ve put off watching the Pusher films. I have no idea why! I have seen Fear X.
I thought it was great. I keep meaning to write something about it. He’s made better films, though. I felt that Nolan’s action editing problems were potentially exacerbated in Dunkirk; I was very disoriented, in what felt like an unproductive way, but it was also 4 or 5 in the morning when I began the film. I think Dunkirk is a Cubist film, if that makes sense. His early work, he’s obsessed with representing individual subjective experiences—amnesia, insomnia, fear. With Batman Begins, though, he switches over to an interest in how individual subjects add up to a larger society. So with Dunkirk, I think he was trying to represent this vast event, which no single person could see, by adding up all these smaller subjective experiences. It reminded me a lot of Modernist literature—say Mrs. Dalloway. I want to write an essay that compares Nolan’s representation of Dunkirk with Joe Wright’s in Atonement, which he did in a single take. I think [with Tree of Life] Malick was trying to work through some personal issues, and I hope he feels better now. I don’t think his recent films have been all that good. That said, I simply adore To the Wonder. I don’t think it’s great, but I love it! I think that whether we love or hate art is more a personal issue, related to what the artwork does for us—how it makes us feel, or the status it gives us, or what it reminds us of. But I think great artworks solve difficult formal problems in art in elegant and compelling ways. The new Stars Wars films. Rogue One, Last Jedi, The Force Awakens. I’ve spent a lot of time thinking about them. It seems to me that when Star Wars [originally] came out, it did three things. One, it was a pop culture sensation. Two, it was a landmark of geek culture. And three, it was a formally innovative artwork. It seems to me that the three new films have all tried to replicate one of those accomplishments. Abrams tried, with Force Awakens, to make a global smash hit. Rogue One catered to the geeks. And with The Last Jedi, Rian Johnson was trying to innovate formally with Star Wars. I don’t think he succeeded, but I do think that was his goal. What formal innovations did you see attempted? I think Johnson was thinking, Star Wars was really influenced by Kurosawa and Japanese culture, so what does that look like in 2017? And therefore brought in more of an anime aesthetic, if that makes sense. 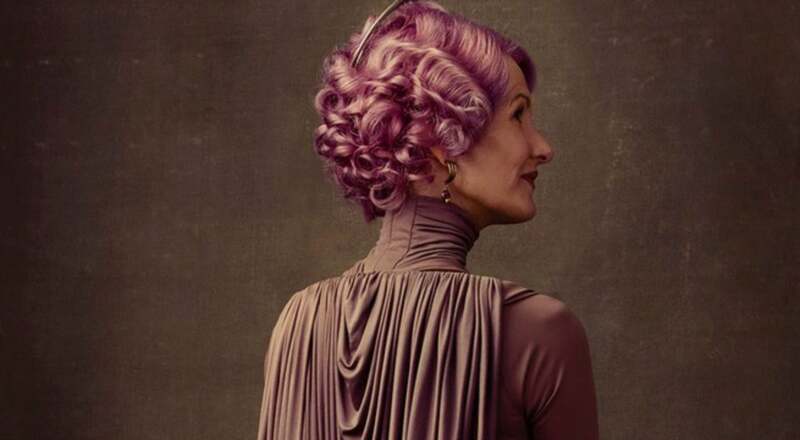 Hence Admiral Holdo’s hair, the explosion going into the negative, the duel at the end. I don’t think it amounted to much, but I think I can kind of see where he was coming from? I wrote something about the film here. But I don’t think I entirely got it right. This is to say that a film creates or crystallizes a community upon viewing. And in this community, certain sensibilities, like Drive’s retro-indie graphic design, are in vogue and carry not just artistic but social weight. Is this part of what you mean when you say that loving or hating an artwork is a personal issue, past its formal goodness? I think that when I wrote about Drive, I was just starting my PhD, and now that I’m finished with the degree, I’d write about the film very differently. I’m really influenced by critics like Michael Fried and Walter Benn Michaels. I’ve spent the past seven years or so thinking about the difference between liking/disliking an artwork and thinking it good or bad. Thinking an artwork good or bad, I’d say, has more to do with the artwork itself. What problems is it trying to solve, and how skillfully does it solve them? Whereas liking something or hating it has more to do with thinking what the artwork can do for you. If I were writing about Drive now, I’d focus less on its effects on me [or] the audience, and work hard to read the film, and see what Nicolas Winding Refn was trying to do. I felt you accomplished that in your commentary on the film. I should listen to it again! I forget what I said. Your forthcoming book is on Star Wars and fandom. I’d imagine the new films play a bit of a role, since they really do signal the victory of a certain fan culture in the mainstream. It looks at the past forty years of geek culture, and the way Star Wars has impacted it. So I write a lot about the whole Star Wars franchise, and the way it’s evolved. What amazes me about Star Wars is that it’s so ubiquitous, and we all think we know it, but I know that when I stop and think about it, I find it’s a really mysterious franchise in a lot of ways. And it’s taught me a great deal about geek culture as a social phenomenon, if that makes sense. It’s illuminating to go back and look at all the Star Wars things that have been produced over the decades. There are all sorts of dead ends and weird decisions. So for instance, Lucas was so worried that Star Wars would bomb, he had Alan Dean Foster write a novel sequel, Splinter of the Mind’s Eye. Which he then abandoned when Star Wars succeeded. But that novel offers an insight into what Lucas was thinking before he realized he had a hit film on his hands. For one thing, it’s clear that he intended for there to be a love triangle between Luke and Leia and Han. Luke spends a lot of the book lusting after Leia, and wondering whether a princess could ever love a lowly farm boy. The novel also involves people searching for a crystal in a lost jungle temple. Which he then funneled into Raiders of the Lost Ark. Lucas is like that: he hangs on to ideas. He wanted to set Temple of Doom in a haunted Scottish castle. Spielberg nixed that for being too close to Poltergeist. Then, in Last Crusade, there’s that bit where Indy goes to a castle and pretends to be Scottish.